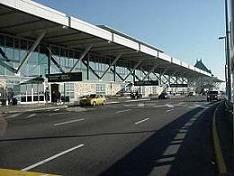 Vancouver International Airport is located on Sea Island in Richmond, British Columbia, Canada. Here you find complete information on the Vancouver International airport, the second busiest airport in Canada and also the Best Canadian airport from regional results. Vancouver International Airport offers banks, restaurants, spas, laundry facilities, and more. Vancouver International airport is a gateway to the world on the West Coast of Canada. Vancouver Airport has it all - anything you need to do, you can do it here. Your banking, your laundry and dry cleaning, your souvenir shopping. Have breakfast, lunch, and/or dinner. Have your hair cut or your teeth filled. See a doctor or even watch a movie. Grab a coffee and a donut or linger in the spa. It's all here. You'll never have to leave if you don't want to. Once you have landed in Vancouver International airport (YVR), you can have your prearranged Vancouver limousine, SUV limousine, van, minibus, or sedan to take you to your final destination. Whether it's to Whistler Mountain Village, Seattle, a Vancouver cruise ship terminal, or Vancouver accommodations in Vancouver, your professional Vancouver Limousine chauffeur will be standing at the international, domestic, or south terminal arrivals gate with a sign with your name on it prepared for a meet and greet.